Click on the image or video to enlarge them! Center Height: 4 ft. 11"
The Dark room interior allows you to sleep in for longer. Also, this makes the tent feel cooler in the daytime. Pitches quickly, in just about 4 minutes. Light can come in unless all windows are shut, which can make it too hot to sleep inside. There are gaps wide enough to let mosquitoes in. 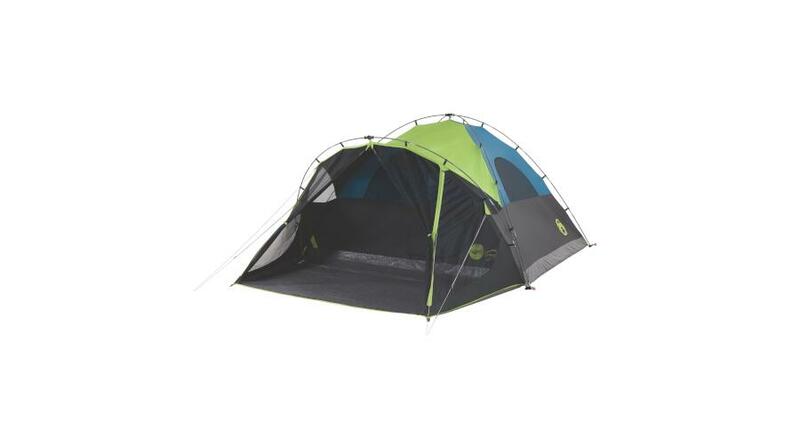 The Coleman Carlsbad 6-person tent has a good deal of space inside for comfortable camping out. It even has a screen room, providing extra space for bug-free cooking, lounging, or even sleeping. Coleman’s fast pitch system also allows any camper to set up this tent very quickly, with no fussing around over attaching poles and threading them through sleeves. 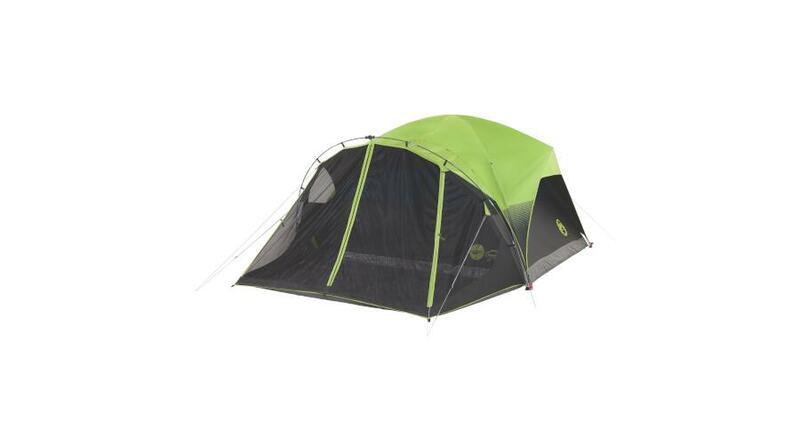 In essence, the Carlsbad 6 is a roomy tent that can be set up in a jiffy. Much Room. Once fully set up, the Carlsbad 6 has a total of 140 square feet of usable area. That includes both the main tent and the screen room. Even the screen room itself has enough space for putting up a few lounge chairs and enjoying a night of reading in the presence of the outdoors, minus the bugs. You can even do some cooking in it. The screen room also doubles as a nice storage area for bags, shoes, and other things you don’t want to put inside the main tent. High Enough Clearance. The Carlsbad 6 stands at 5 feet 8 inches at its peak, making it not feel like a cramped spot inside. The tent is both wide and tall, adding to the comfort. Most people don’t have to curl up and crawl their way inside. Easy to Assemble. The Carlsbad 6 can be fully set up in about 12 minutes. It uses Coleman’s innovative “Fast Pitch” system, which includes pre-attached poles and “fast fit” feet. The fast fit feet allow for easier staking into the ground. In addition, the poles are all pre-attached to a central hub, so they are perpendicular always. The pole segments are shock-corded to make connecting them a lot easier. Attaching the tent canvas to the poles are similarly made easy through clips. Snapping in those clips to the poles is clearly a lot faster than threading the poles through sleeves. Adequate Ventilation. The Carlsbad 6 is mostly constructed of mesh, which provides a good deal of ventilation especially in warm weather. The inside will not feel like an oven during the summer. Dark Room Technology. The exterior of the Carlsbad 6 is designed to block out most sunlight from entering the inside. This has two advantages: you can sleep comfortably even during the daytime, and intense sunlight will not heat up the interior like a car parked out in the middle of the day. 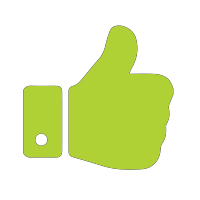 E-Ports. The tent is equipped with electrical outlets and wiring to bring power inside. This way, you can charge phones and other gizmos. But since this system isn’t solar-powered, you’ll have to find an available power source on site. Price. The Carlsbad 6 comes at a price that isn’t bad for its size. It retails for about $181.87 info_outline Do take note that there is also a 4-person model of the Carlsbad tent; this may be best for you if you don’t need the extra room. Mesh Body Does Not Retain Heat. As the tent body is almost mesh all around, it cannot adequately keep warmth inside. Therefore, the Carlsbad 6 is not recommended for cooler weather. There are also no provisions for attaching a nylon covering to the tent’s exterior to block out the cold air. An included rainfly can be attached, but this does not cover the sides. With those in mind, the Carlsbad 6 is only good for campouts done in the summer or in warmer conditions. Tight Space for Six People. The space inside the main tent is actually just 90 square feet. This may not be enough to fit 6 people comfortably. While the screen room may be used as extra space for sleeping, it is not as protected from the elements as the main tent is. Thus, it isn’t always a good idea to use the screen room for sleeping. With that in mind, the Carlsbad 6 is, for the most part, best for 4 people only. One Amazon reviewer even said that they could not easily fit an inflated queen-sized bed into the tent. Fiberglass Poles. The Carlsbad 6 includes fiberglass poles, which are not as durable as aluminum poles. One Amazon reviewer testified that the tent collapsed during a windy day, then the poles snapped on the next encounter with wind. Campers who love going in windy sites should consider a more durable tent than this one. Insect Magnet. The rainfly included with the Carlsbad 6 is in a very bright neon green color, which for some reason is very attractive to bugs, according to an Amazon buyer. Yes, the screen room does protect against bugs, but to have the tent itself attract them does not make sense. Having a separate rainfly might be a good idea to keep the insects away. Bulky. The entire setup weighs 22 pounds, so it’s best used when driving to a campsite. Also, when packed, the Carlsbad 6 package is 26 x 11 inches. It’s bulky, so it is not for backpackers or travel-light campers. Leaky. Most complaints from Amazon buyers are that the tent does not keep you high and dry when it rains. One buyer said it leaked in all four corners, while another commented that puddles of water formed on the inside. 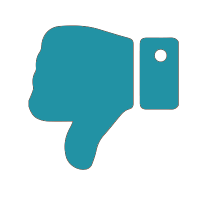 One person even mentioned that the tent leaks even with the rainfly on. Thus, it is best to not use the Carlsbad 6 in rainy seasons. Not For Tall People. 5 feet and 8 inches of peak height may provide enough headroom for most, but taller people may complain. Thus, a tent with higher peak clearance would be more comfortable for tall people. Rainfly is Not Full Coverage. There is an included rainfly, but it only partially covers the tent. This may contribute further to the leaking problems. No Footprint. There is no included footprint, so you will have to buy a separate one. The Coleman Carlsbad 6 has ample space inside plus a little more thanks to the screen room. Plus, it can be pitched in just a few minutes thanks to Coleman’s Fast-Pitch design. The Dark Room design also allows it to stay cool in hot days. However, the tent is not without its drawbacks. For starters, it is not really ideal for 6 people as Coleman says. While it is okay to sleep in the screen room, it does not provide adequate protection against the elements, especially rain. 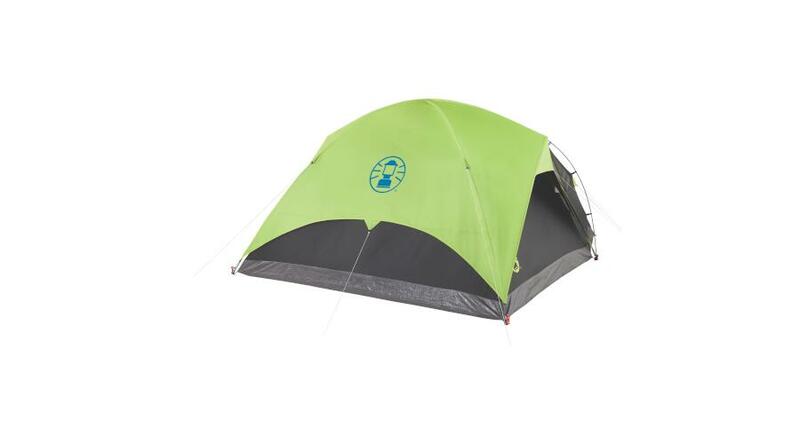 Considering only the main tent room, the Carlsbad 6 is best for a maximum of 4 only. Another is that the tent is not built to be tough. The fiberglass poles tend to be fragile; they are in fact unsuitable for windy environments. Moreover, the lack of waterproofing is a further problem. Who would want to sleep in a tent that gets wet? Those aside, the Carlsbad 6 is still adequate for amateur campers who choose calm campsites. It is only $181.87 info_outline after all. There isn’t much to expect for this price point, considering its size and added features. The Carlsbad 6 might not be the best 6-person tent out there, but it would work out for adventurers who aren’t too particular with the fine details of a tent.